An overly dry scalp can be as irritating as it is embarrassing. Depending on the trigger, it can lead to itching, soreness, scabs, hair loss, and white flakes. That’s why you need to find out what causes the problem so that you can take action. Many people associate dry scalp with dandruff, but they’re two separate conditions with different symptoms. It’s common for dry scalp to be brought on by harsh weather, the ingredients in products used to wash our hair, and the colors that make our hair look vibrant. While this is often the case, we need to know what causes a dry and itchy scalp. If you experience the symptoms, understanding the reason(s) behind the dryness will usually make it a lot easier to treat. Your scalp may require a different treatment than someone else, depending on the cause. Perhaps there’s an underlying medical reason for the condition, such as scalp eczema or scalp psoriasis? Even if there’s not a cure, the symptoms can be quickly and safely alleviated. Let’s dive into the ten most common reasons for scalp problems. The more you know about the cause(s), the easier and faster you’ll be able to treat them. We’ll also cover many of the questions that you may have so that you can get rid of dry scalp for good! Many times, issues with the hair and scalp are triggered by other underlying health conditions. Sometimes, however, it’s due to lifestyle choices. Even wearing a hat or beanie can lead to itchiness. Below, you’ll find the most common reasons why your scalp is so dry, including what to look for and the best treatment option(s). Certain hair products can cause dry scalp, dandruff, and even other skin conditions like acne. The problem is in the harsh chemicals sometimes used in popular shampoos, conditioners, and styling products. Try using a natural product, such as Christina Moss Naturals. If you’re using products every day, they can strip your hair of its natural oils. It can also be the case that using the highest setting on a hair dryer, straightening the hair or curling the hair with heat can lead to a dry scalp. This can cause excessive dryness and itching of the scalp. If you’ve recently changed hair care products, the chemicals in the products could be to blame. In addition to the products you use, you should also focus on your overall hair care routine if you’re experiencing dryness of any kind. Excessive hair washing or applying heat to your hair regularly can be the cause of damage. If you have damaged your hair, you can protect against breakage and repair split ends. Also, too much heat can end up pulling moisture away from the head. Your scalp produces a natural oil called sebum. Showering every day, or using heated styling products can lower the amount of sebum production our scalp is supposed to put out. Of course, some people also get sebum plugs that need to be removed. If a dry scalp is caused by products or a hair care routine is as simple as making a few changes. To start, switch the hair care products you regularly use. Replacing them with organic products with no harsh chemicals can make a big difference. Some natural shampoos are even advertised for dry hair and scalp, like shampoo by Christina Moss Naturals. When it comes to making changes to your hair care routine, remember that heat is the enemy. 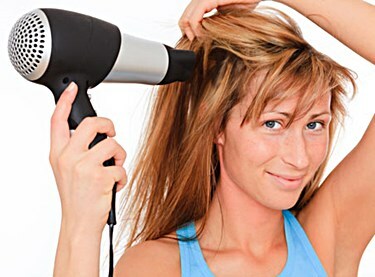 Avoid styling your hair with curling irons, hair dryers, and flat irons as often as possible. And washing your hair too often can be detrimental. If you have to use a styling tool, be sure to apply a heat-protectant spray or moisturizer beforehand. If possible, avoid showering every day, and lower the temperatures of your regular showers. According to the Mayo Clinic, more people tend to get dry skin in colder winter months. The scalp is not immune to these harsh conditions. Dry hair can eliminate moisture from the hair and scalp, so it’s important to regain it through deeply penetrating moisture routines. If other areas of your skin seem dry, ashy, or itchy, it’s likely the same reason your scalp feels so dry, too. These treatments can help to lock in moisture and allow your scalp to produce enough natural sebum to leave it feeling healthy and flake-free through the winter. Dehydration can go hand-in-hand with the weather, but it’s also often a reflection of our choices. You wouldn’t run a marathon without grabbing sips of water along the way, would you? Unfortunately, many of us only tend to focus on adequate hydration when we feel thirsty. Our bodies need much more water than they typically get in a day. The hydration we need isn’t just used to feel better or quench a thirst. Getting enough water is necessary for overall health, including the scalp. The benefits of getting enough water each day are endless. When it comes to your skin, it will help it to feel more elastic, and look healthier. When you can hydrate your scalp, you’ll reduce the risk of flaking, and help to get rid of redness and inflammation. Making sure you’re staying hydrated is as simple as drinking enough water each day. You should aim for at least eight 8oz glasses of water every single day. You can also stay hydrated through things like fruits and vegetables that contain a lot of water. Try to avoid drinking things that can dehydrate you, like alcohol or soda. These might seem refreshing at the time, but they don’t replace any fluids your body loses. They also work as diuretics, which cause you to have to urinate sooner, thus getting rid of more water in your body. Your hair and scalp can be significant indicators of your overall health. Dietary deficiencies, an intolerance to gluten, the use of birth control, and other poor eating habits can lead to a variety of health problems, dry scalp included. It’s also believed that going to bed with wet hair will cause damage to the hair and scalp. If you have any of those symptoms and are experiencing a dry scalp, it’s time to take a look at your overall nutrition. Things like Vitamin B6 and B12 are essential for the health of your scalp, as well as Vitamin E, Zinc, and essential fatty acids. Changing your diet is the best way to achieve better overall scalp health from the inside out. Try to take in more fruits and vegetables, whole grains, and healthy fats. If you can’t get adequate nutrition each day, try supplementing your diet with vitamins. A multivitamin is an excellent option for getting a lot of essential nutrients in your system quickly. Try introducing healthy fats, like flaxseed oil, as well. You’ll notice a difference not only in your scalp but the health of your hair. The right vitamins can help your hair feel fuller and look shiny. Most of the time, anxiety is associated with being jittery or having a nervous stomach. However, your itchy scalp could also be a result of being anxious. While the cause of the connection is unknown, two possibilities are linking the two problems. First, anxiety can trigger a hormonal change, which can affect the pH balance of the scalp and cause it to dry out. Or, if you already have an existing scalp condition like dandruff, anxiety can make it worse and more noticeable. Stress can also make the skin more sensitive. So, the hair care products you regularly use may have a different reaction if your skin is more sensitive to certain chemicals. As you can see, there is a myriad of different ways anxiety and dry scalp can go hand in hand. The best thing you can do to get rid of a dry scalp caused by anxiety is to treat the anxiety itself. Talk to your doctor about possible options to reduce your stress. In some cases, medication may be prescribed to lower anxiety levels. However, a dry scalp can be irritating, so there are things you can do to help it along while you lower your stress. The best thing to do is to avoid irritating your skin. Avoid itching if at all possible, and be mindful of the products you’re using. A hypoallergenic shampoo and conditioner will likely be easier on your hair and scalp than your traditional products with different chemicals. Try to avoid confining your hair and scalp, too. Don’t wear tightly-fitting hats or helmets, and don’t pull your hair back into a ponytail very often. This can cause more irritation and trigger itching. Eczema is a common cause of a dry, flaky scalp. Scalp eczema causes the scalp to become inflamed, red, and extremely itchy. It can even cause dandruff, so you’ll notice an abundance of small white flakes along with the desire to scratch. Scalp eczema is sometimes known as seborrheic dermatitis, which is what tends to cause dandruff. Additionally, if a baby experiences these symptoms, it’s often known as cradle cap. You’ll notice the scaly, flaking skin right away. It can be caused by very dry skin, allergies, excessive sweating, or even being exposed to an irritant. Seborrheic dermatitis is often caused by the overproduction of sebum. Our scalp naturally produces this oil. For the most part, it’s a healthy part of the scalp and hair. However, when too much is generated, it can leave an oily or waxy feeling, and cause irritation. To treat scalp eczema, a topical antifungal solution or medicated shampoo usually works well. Try to find a shampoo that contains Ketoconazole, like this Nizoral A-D Anti-Dandruff Shampoo. Ketoconazole will help to soothe irritation and get rid of scaly skin. Eczema of the scalp is often easily treated but can be prone to flare up again periodically. So, there are a few things you can do to reduce the risk of flare-ups and outbreaks. If you’re taking precautions and still experiencing regular flare-ups, you may want to see a doctor or dermatologist. If they can better identify the true cause behind your condition, they may be able to give you a prescription to deal with the problem and prevent it from consistently returning. It may appear that your baby has dandruff. This typically goes along with dry, flaky skin on the top of their head. It may appear that your baby has thick, discolored scaling on the scalp. Typically, it is a yellow or brown color. Both symptoms are very common of infantile seborrheic dermatitis. The condition itself is common in babies, and it’s not a concern. It usually appears within the first few months of a baby’s life. The good news is that it will usually go away on its own within a few months. There is no concrete cause for cradle cap. However, some doctors believe that it is caused by an influx of hormones from the mother at the end of her pregnancy. These hormones over-stimulate the seborrheic glands and cause the baby to produce too much sebum. Cradle cap should eventually go away on its own in a matter of months. It’s likely that it’s not even bothering your baby, though it might itch a bit. If it continues to bother you and you want to offer your child some relief, there are options. Something as simple as gently giving your baby a scalp massage with your fingers or a soft brush can help to loosen some of the scaling skin. This can also help to reduce the continuous build-up of oils. For more severe cases, there are baby shampoos specifically designed for cradle cap, like Bella B Bee Gone Cradle Cap Baby Shampoo. Most of these products use natural, tear-free ingredients to soothe itching and help get rid of cradle cap faster. Most people think of psoriasis as a skin condition you might experience elsewhere on the body. Unfortunately, the scalp is just as much at risk as anywhere else. When it does appear on the scalp, it can be a singular patch or spread all the way to the neck and forehead. It is not fully known what causes scalp psoriasis, but if not treated it can be painful and last a long time. It causes crusty sores on the scalp that can lead to severe itching. The itching sensation can lead to everything from infection to hair loss. Keep in mind that psoriasis itself won’t cause things like hair loss. However, it becomes almost impossible not to give into the itching sensation. Excessive itching can cause open sores and hair loss, and eventually lead to infection. The best thing you can do if you have scalp psoriasis is to see a dermatologist as soon as possible. Not only will they be able to rule out any other skin conditions, but they can evaluate the health of your scalp and ensure there are no infections, etc. You can find these ingredients in things like creams, gels, and shampoos. One of the best over-the-counter products for scalp psoriasis is a medicated shampoo like MG217 Medicated Coal Tar Shampoo. It will help to control the sensation to itch and reduce flaking and scaling. In more severe cases of psoriasis, your doctor may prescribe something stronger. If topical solutions don’t work, you may find relief with laser-light therapy. Talk to your dermatologist about the best option for your specific case. The sooner you can alleviate the negative symptoms that go along with scalp psoriasis, the easier it becomes to manage on a daily basis. Often called ringworm of the scalp, tinea capitis is a fungal infection that spreads quickly. Although it can occur at any age, this particular fungal infection is most common in children. Causes include scalp injuries, a dirty scalp, or a scalp that has been too wet for a long period (excessive sweating, etc.). That’s why some people complain that their scalp is itchy when they don’t wash their hair. Not only does this infection spread quickly, but it is easy to contract from another person. It can be transferred through direct contact. However, it can also be transferred by using combs, brushes, or even clothing that an infected individual has worn. Additionally, it can be spread through domesticated pets. Because tinea capitis is an infection, you may experience additional symptoms not directly associated with the scalp. Sometimes, a low-grade fever can be an accompanying symptom if the fungus gets bad enough. It may also cause hair loss and scarring. It’s a good idea to see a doctor if you have the symptoms of tinea capitis. They’ll be able to determine if it’s another condition. If it is a fungal infection, they will likely prescribe an oral antifungal medication. 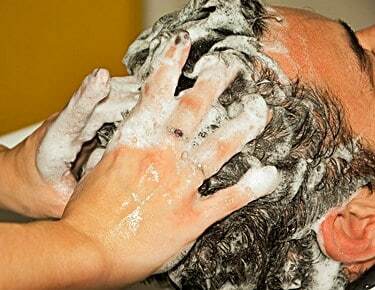 In addition to taking antifungal medication, it’s important to keep your scalp as clean as possible. You may also benefit from using a medicated shampoo, like Selsun Blue Medicated Maximum Strength Shampoo. Any shampoo that contains ketoconazole or selenium sulfide can help to stop the infection from spreading, though it won’t cure it fully without an antifungal treatment. It is extremely important to take precautions if you have tinea capitis. Because it is so easy to spread, no one in your home should share things like hats, pillows, blankets, etc. Combs and brushes should be sanitized every day until the infection is gone completely. This is a rare disease of the scalp. It is characterized by the degeneration of muscles and skin, as well as inflammatory issues. It is often overlooked, but it can affect any part of the body and create weakness and dryness. The most common symptom associated with Dermatomyositis is muscle weakness. Unfortunately, symptoms can form gradually, or suddenly. A skin rash is the most common symptom on the scalp. The rash will appear blue/purple in color and is very distinct from many other types of rashes that just look red and inflamed. Unfortunately, there is no official cause linked to this disease. However, many doctors believe it is an autoimmune reaction. It has also been linked to certain types of cancer – specifically, lung cancer. Dermatomyositis can be a paralyzing condition. Treatments are based on individual cases. Unfortunately, it is not fully curable at this point. If you are suffering from the condition, the main goal of a doctor is to alleviate any pain and discomfort. They may also prescribe an anti-inflammatory drug to ease the rash. There is a common misconception that dandruff qualifies as any white flakes that fall from our scalp. These flakes can be embarrassing and irritating, but not all flaking is the same. Flakes can occur for a variety of different reasons, like those listed above. While dandruff can fall into a few of these categories, it’s not always the same. It’s important to understand dandruff a bit more to determine what might be causing it, and what you can do about it. Dandruff can be caused by some of the conditions already discussed in this article, like psoriasis and eczema. It can be characterized as small white flakes. These flakes fall from the scalp naturally. But, you’ll tend to see more of them (especially on your clothes) if you scratch your head. Dandruff is nothing more than dead skin cells. It’s true that a dry scalp can cause dandruff in some situations, but an extremely oily scalp can also cause your skin to flake off. This is typically more common with dandruff. If your scalp produces too much oil, it can build up over time. This creates small clumps of cells and skin on your scalp, and eventually, they will flake off. If you’re not sure what condition might be causing your dandruff, a dermatologist can help. This is typically the best thing to do since a doctor will also be able to tell you if it’s a result of an underlying skin condition. If it is, you’ll be able to start a treatment regimen right away. So, how can you tell the difference between dandruff and dry scalp flakes? Dandruff has a few very distinct characteristics. Again, dandruff can come from a dry scalp, but a dry scalp doesn’t always mean you have dandruff. Understanding the difference between the types of flakes and the itching they might cause is important. When you know the differences, it becomes easier to find the right treatment for your specific condition. If you do have dandruff, the best thing you can do is change your hair care routine and start using a dandruff shampoo, like Head and Shoulders Clinical Strength. It’s a pH-balanced shampoo recommended by dermatologists. It’s also designed to protect against flaking, and get rid of any itching or irritation that might be associated with dandruff. The ingredients in dandruff shampoos should also help to reduce the build-up of oils on your scalp. Not only will that help to get rid of flaking, but it will bring your scalp back to a neutral pH. Once that buildup of skin cells has been stripped away, you’ll notice fewer and fewer flakes, until eventually, your scalp will be clean. In many cases, having a dry scalp also causes your hair to dry out. When your body isn’t producing enough sebum, your hair isn’t getting proper nourishment. 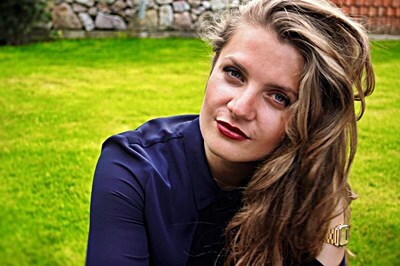 Even without knowing the cause, you might notice changes in your hair. If your hair isn’t properly nourished, it may start to fall out in the shower, when you’re using a comb, etc. Scratching your skin can also contribute to hair loss. The more you scratch, the more damage you’re doing to your scalp. You could be scratching out follicles of your hair each time, too. 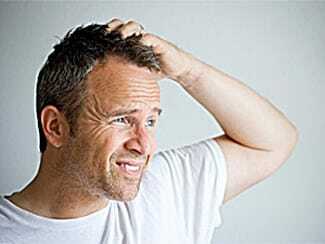 There are also several conditions associated with a dry scalp that can contribute to hair loss. The most common of these conditions listed in this article is Seborrheic dermatitis. As stated above, seborrheic dermatitis is caused by an overproduction of sebum. Hair loss typically only occurs when the condition has become severe. So, it’s important to look for early symptoms and start treatment. Usually, the earliest symptom of seborrheic dermatitis is flaking of the skin. The condition causes hair loss by producing too much sebum, which causes a build-up of oils underneath the hair follicles. This creates irritation and sebum plugs. Not only will it make you want to itch (which can also cause hair to fall out), but it can be painful if not treated properly. Unfortunately, many of the conditions listed in this article can cause sores on the scalp. If left untreated, those sores could turn into something serious. Even a condition that starts out as a minor irritation can become problematic if you spend a lot of time itching. When you scratch an inflamed area of the scalp, it can open up, bleed, and become susceptible to infection. This can leave you with unsightly sores and scabbing. When you do get scabs on the scalp, it can make matters worse. Scabs are itchy and irritating. Again, scratching them can lead to bigger problems if they open up. While some of those conditions aren’t directly associated with dry scalp, it can be difficult to know exactly what’s causing sores if you don’t have many other symptoms. The best thing you can do is see a doctor or dermatologist if you’re experiencing scabbing on the scalp. Understanding the source of the problem will make it easier to treat, and lower your risk for infection. It can be tempting to give into the desire to scratch when your scalp is itching. However, it may lead to open sores that cause bigger conditions. If you’re worried about the effects itching might have on your scalp, ask your doctor about any soothing options that will work well with treatment. The most important thing for picking the best home remedy is to determine what is causing the condition in the first place. Everything from skin conditions to lifestyle choices can make a difference in the overall health of your scalp. The sooner you know what might be causing the dryness, the sooner you can start treating it. The best way to treat a dry scalp is to retain moisture within the cells. Don’t confuse healthy moisture with something like dandruff, which is caused by too much sebum. Healthy moisture and a build-up of oils are two very different things. Locking in the right kind of moisture for your scalp can help to keep it hydrated, and reduce the risk of too much sebum production. Along with the effective treatment options listed underneath each condition, there are several home remedies that have been proven effective. Most of these remedies use ingredients you likely either already have, or ingredients that are very easy to find. Let’s take a look at some of the most popular ways people treat dry scalp at home. 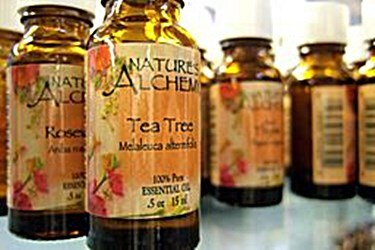 Tea tree oil contains antifungal, antiseptic, and antibacterial properties. It also works very well as an anti-inflammatory agent. If you have something like a fungal infection causing your dry scalp, it can help to clear up the fungus, or any other bacteria that may be causing problems. Because of its moisturizing properties, it can also help to soothe irritation and itching. Using tea tree oil for your scalp is simple. You can either add a few drops to your shampoo or mix with a carrier oil and massage into your scalp. This works as a sort of hydrating mask for your skin. Leave it on overnight, and gently rinse away in the morning. If you want a proven tea tree oil shampoo, take a look at Paul Mitchell. This can be easier than formulating your own treatments, especially if you lead a busy lifestyle and don’t have a lot of spare time. Coconut oil has many different health benefits, but it’s also great at locking in moisture. If your scalp isn’t producing enough sebum, coconut oil can encourage it to start producing more natural oils, bringing your scalp back to a healthy level of moisture. It also helps to add nutrients to both your hair and scalp. So, not only will your skin feel less dry and itchy, but your hair will be soft and shiny. Warm it up to a melting point. Apply it throughout your hair and onto your scalp with your fingers. Massage into your scalp for several minutes. Leave the treatment in overnight for best results. Rinse away after several hours with a gentle shampoo. You can repeat this coconut oil treatment two or three times a week, or as needed until your scalp doesn’t feel so dry. It can also be used as a preventative measure to keep your skin healthy and hydrated. Sometimes, it’s the pH balance of your scalp that causes it to become dry and itchy. Apple cider vinegar helps to neutralize the pH. It also works as an antibacterial agent. If your scalp has sores, using apple cider vinegar can help to fight off any potential infections. To use, simply mix ½ cup of the vinegar with ½ cup water, and massage it into your scalp. Leave the mixture in for about ten minutes, before rinsing your hair and washing it with a mild shampoo. Aloe vera is often used on cuts, burns, etc. It has properties that can help soothe and heal sores and scabs quickly. It also works as a cleanser to treat dry scalp. 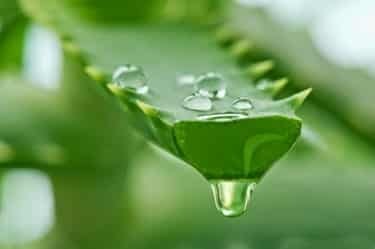 To use aloe vera, you can either extract the gel from an aloe plant and work directly onto your scalp or find a shampoo that contains aloe vera as the main ingredient. If you’re suffering from redness, inflammation, or any dry scalp sores, it’s a great way to feel better and focus on healing. Check the ingredients of your hair care products. Avoid excessive heat from hair tools, showering, etc. Keep your scalp hydrated from the inside by drinking plenty of water. If you are dealing with a dry scalp, do what you can to determine the cause. Because there are so many different possibilities, it may seem overwhelming to figure out which condition you may have. Looking at the symptoms and seeking help from a dermatologist can make this easier. Starting treatment as soon as possible is a key component in restoring the health of your scalp and hair.